In this book we explore an introduction to autonomous robot programming and work towards the development of robots designed to compete in Sumo Robot competitions. 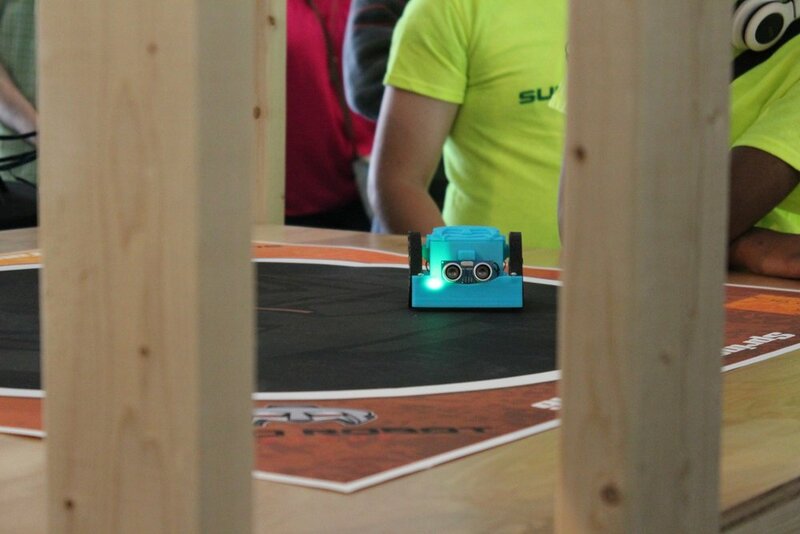 We use the MRK-2 Mini Robot Kit created by Sumo Robot League to learn about Arduino-based programming to interact with sensors and allow our robot to navigate in the real world. If you are ordering the 2017 MRK - 1 3D Printed Robot, please order MRK - 1 Textbook! This book was written to take someone with no prior programming experience and teach them everything they need to know in order to begin the journey down a software development career path. Along the way, this book will teach you how to think like an engineer and design programs to control a robot to meet competition objectives in several different scenarios.